ARE HAIR TRANSPLANTS FOR EVERYONE? NOT FOR WAYNE ROONEY. The first thing people think of when their hair is thinning is of a hair transplant! Is this always the best option? It is vital that you seek advice on this matter and that you explore all the options available to you before deciding on having a transplant. Many hair loss advisers who work for companies that only deal with hair transplants and no other hair loss treatments will try and encourage you to have a transplant and not mention that you will experience further hair loss in the very near future. There are many factors that have to be taken into consideration before a hair transplant can be carried out such as age of the person and the type of hair loss they are experiencing. 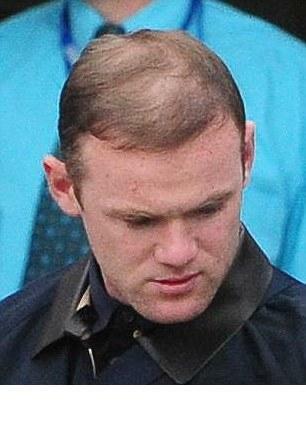 Wayne Rooney had a hair transplant and it is now clearly visable that he needs further hair transplants however the vital questions is how many? He is very fortunate that he can afford to have futher hair transplants at a cost of £15,000 a go however we don’t all have that kind of money to spend over and over again. Also, can his scalp withstand further hair transplants? Hair transplant is an excellent option for hair restoration and Total Hair Loss Solutions in Leeds, West Yorkshire have certain prerequisites that have to be met before our surgeons will perform a transplant, if you do not meet them then a hair transplant is not for you.